This past summer, my uncle rode down from Canada on a motorcycle tour. He had packed fresh clothes and weather-beaten books into the packs on the sides of his bike, and he rode for days and days, eventually making a looping swish along the West Coast that swung all the way down through the South Bay, near San Jose, California, where he had grown up. I saw him in Portland, at my parents’ house. My family had gone there for a weekend, and it was really just luck that had us all in the same place at the same time. We are not a family that fears geographical distance. Still, sitting on the deck one night, someone asked my uncle why he had decided to travel down from Canada in the first place. After all, he was riding completely alone, over wildly varying terrain, with only the wind in his ears for conversation. For me, being alone is like a cookie I can steal – something I grab when I can, and stuff into my mouth in huge forbidden mouthfuls. I had never really thought of it as a need – in fact usually, if I’m being totally honest, solitude can make me feel selfish. But I do my best work when I’m alone. 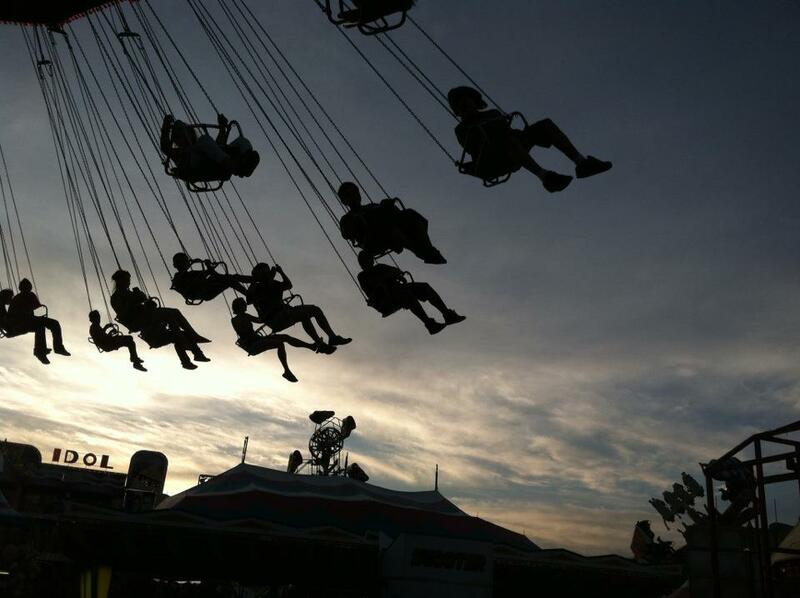 It’s a luxury to be able to turn off the swinging, shrieking, merry-go-round of my daily life and sit quietly. I do it in the evenings, sometimes, when I can hear the sighing of the cars on the road through the window, or the low voices of neighborhood kids, calling softly to each other down the block. And it’s not even just being alone that I crave – it’s the quiet. I have a little boy and three dogs and two cats and a husband and a full-time job that I love, and my life is many things, but it’s rarely ever quiet. But I’ve realized that, in order to write anything coherently, I need to give myself the quiet, as a gift. I need to shut off the noise and pull the thick silence over me like a clear dark blanket of stars. I need to let my mind stretch out and wander around, poking at things. For example, what flavor is the sound of the wind that’s pulling the weather system towards us? When I think about its shape against my experience in this particular moment, what does that look like? Can I write a poem that matches the cadences of the chorus of neighborhood dogs out the window? And what color is their barking? How does it feel to sit here, the spring air leaning in, and listen to them? So here’s my suggested writing prompt – take it in any direction you’d like. Pack your worries and cares and everyday issues into the pack of your mental motorcycle – you still carry them, but for now you’ll think about them later. Find a quiet space. Breathe in, breathe out and situate yourself in the room. Look around you and notice the air, or the light, or the way the open spaces in the room interact with your state of mind. Think about how that particular vase on the table feels. Maybe connect it with something else you’ve lived through, or a story you want to tell. Listen to the wind as if it’s a conversation that someone is having – that you get to hear. at 60, quiet is what i have. raised a couple of kids, had a string of short-term romantic relationships, took a stab at that brilliant career that people still want. and now there are no children in the daily part of my life, no partner, all of the hum and buzz of life around me has stilled. and what i have, every morning, and almost every evening, after i work a frenzied day, is quiet. and alone. and not that i have both in my life, every day, i cannot remember how i stayed sane without them (while, of course, admitting that sanity isn’t everything …). the big extrovert me has pretty much worn out. there are times when i leave a social gathering to come sit in my living room and listen to the sound of this part of my life. when i wake early in the morning to sit in my living room chair and watch the sunrise, in the quietest (both physically and emotionally) time of the day. alone has meant some longing, some sense of absence of intimacy at times, but most days i relish the time alone and feel a certain happy responsibility to enjoy it. God, what a beautiful post. Thanks so much for this Liz. This IS a beautiful post! and a challenge. I fear the silence (almost always make the background of my life noisy with music or t.v.). What I fear about I’m even afraid to say…. but I feel like as a writer I’m supposed to cherish and long for silence. It’s a paradox.